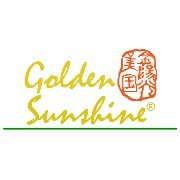 Golden Sunshine's herbal creams are ideal for massaging into aching muscles and joints. 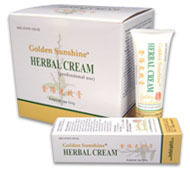 Sold exclusively through licensed health care professionals, these creams help the body relieve the uncomfortable symptoms of pain and stiffness. They can be used in concert with our herbal patches for maximum effect and come in a variety of types in both professional and patient sizes. 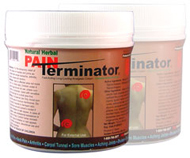 All of our analgesic creams now contain our far infrared technology for the highest level of efficacy available today. Save money by choosing our professional sizes. 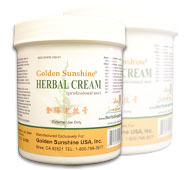 These products come in 500g jars and are a more economical option for use in your practice. These products come in boxes of twelve 50g tubes for use at home between visits. Sending your patients home with these products increases compliance and gives them relief between visits.